Electronica producer Madeon has been using Twitter this week to jab a sharp stick into his label’s side, over a reported Soundcloud takedown action. The tweet protest illustrates how rights-holder decisions about streaming access to music can conflict with artist values. We reported that Sony had removed some of its artist content from SoundCloud, the streaming audio platform which is laboring through extended negotiations with labels for authorized use of artist recordings. Sony did not disclose its rationale for removing some artists, takedowns did happen (Adele, Hozier, Kelly Clarkson, others), and are proceeding after those initial actions. Giving away music to gain exposure and stimulate discovery is an age-old strategy, sometimes born of necessity. With EDM music, which grew into a giant category without radio or major-label support in early years, direct distribution to fans, without regard to immediate reward, has been a traditional route for artists. Last summer we spoke to EDM superstar Ryan Farish about this, and he described how massive music giveaways on streaming/downloading platforms built virality for his brand, and were responsible for his eventual success. We asked Ryan Farish about YouTube’s career-building role, and whether money or exposure was more important. “It would definitely be the exposure. YouTube is very important for promoting your music. The advertising revenue is minimal, but the promotional value and reach is very substantial.” Farish owns his own label. If EDM artists like Ryan Farish and Madeon have a longer view of the success path, and are more willing to trade short-term transactional thinking for longer-term audience growth, it might be because the genre has demanded patience and generous fan relationships during its emergence. As of this posting, the takedown has not yet happened. 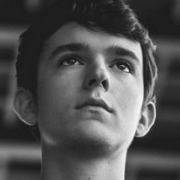 Madeon has over 800,000 soundcloud followers, and many of his tracks have been streamed millions of times.